This week, the BBC News website is marking 10 years since the summer of 1995, when Britpop bands such as Blur, Oasis and Pulp took over the UK singles charts. For some of those in the spotlight, it became a summer to forget. 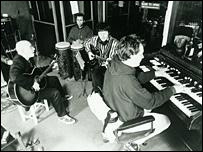 In the weeks before the Blur vs Oasis chart battle, one song seemed to be drifting out of every speaker in the land - the Boo Radleys' Wake Up Boo! It was a sudden flush of success for the Liverpool band, already seven years into their career, who had become critical darlings without ever quite making it into the pop mainstream. But thanks to Wake Up Boo!, the band - led by singer Sice and featuring guitarist Martin Carr, bassist Timothy Brown and drummer Rob Cieka - the Boo Radleys found themselves, unwillingly as it turned out, at the epicentre of Britpop. A decade on, Carr, the band's principal songwriter, looks back on Britpop's legacy with mixed feelings. "I tried to have nothing to do with what was being called Britpop. Our whole career was spent trying not to 'fit in'. We just carried on doing what we had been doing. "I didn't like most of the new bands or the flag-waving. I didn't like New Labour or idolise Paul Weller and I hated media-generated movements within music." The Boo Radleys had already released three albums before Wake Up Boo - Ichabod and I, Everything's Alright Forever and 1993's Giant Steps, which had been proclaimed album of the year by music weekly Melody Maker. Giant Steps - which spawned the alternative hit Lazarus - was an ambitious, stylistically varied record which had elements of dub and trip-hop alongside the fuzzy guitars and distorted vocals which had become something of a hallmark. Released on Creation Records - also home to Oasis - Wake Up Boo! featured a much clearer, pared-back pop sound more in keeping with the kind of guitar rock suddenly in sway. It went all the way to number one. But despite suddenly being lumped in with the likes of Oasis, Blur and Pulp, Carr did not feel any particular camaraderie. 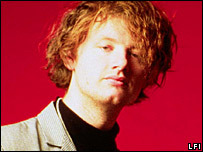 The Britpop scene had originally been dubbed "the scene that celebrated itself", and Carr was often featured in the music press gossip columns as something of a staple in the bars and clubs. "We had been partying since the late 1980s," he says. "I went to a couple of the big Oasis concerts, primarily to take drugs and hang out. "We didn't sell masses of records; we sold relatively little compared to others. We were never ones for going to the right clubs or hanging out with the rich and stupid." Carr himself is not one to stick on Oasis' Definitely Maybe or Blur's Parklife to relive the mid-90s. "I never give it a moment's thought. I certainly don't play any records from around that time except for hip-hop records." The Britpop years saw the British music industry celebrating home-spun success more conspicuously than any time since the late 1960s - many bands enjoyed spectacular success in the UK without bothering with the rest of the world. But Carr disagrees with the notion that the British music scene was celebrating a sense of Britishness. "It was about record companies trying to make money. Bands weren't given a chance to learn and grow; it was all about having hits," he says. "I was gutted when Creation signed to Sony, I'd never wanted to be on a major label and we were under much more pressure after that. It was also a chance for everyone to get away with more jingoism than usual. "American music was great then, I loved all the Wu-Tang stuff and Pavement and Richie Hawtin." Little more than a year after Wake Up! was released, The Boo Radleys released a denser follow-up, C'mon Kids, which harked back to their more experimental roots. At the time they were accused of trying to ditch fair-weather fans. "I'm not even going to answer that," Carr says. "It was a bunch of songs that I had written that we recorded; it only seems inaccessible because everyone had given up and started listening to dreary pub rock records. Some things haven't changed." 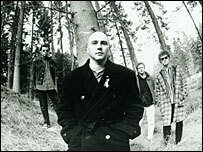 After the release of 1998's Kingsize, another record more in tune with the early years of the band's career, the Boo Radleys parted company. Carr now records and plays live under the moniker Brave Captain. "I'm much happier. Much poorer but much happier and I wouldn't go back." The Boo Radleys' best-of Find the Way Out is out now on Sanctuary Records.